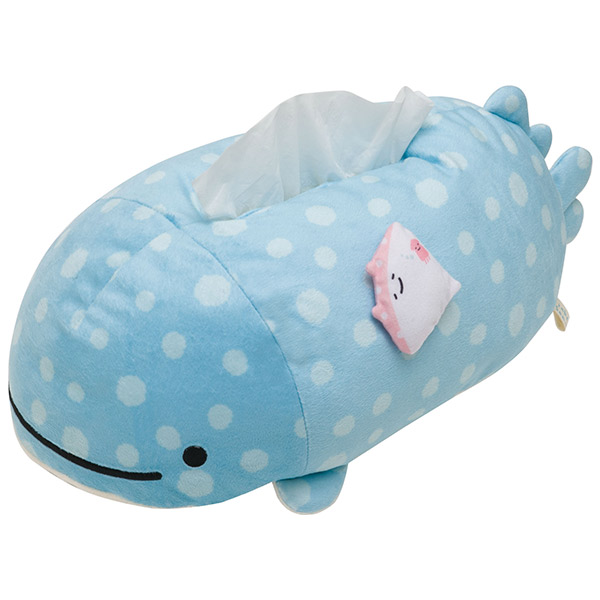 San-X "Jinbei-San" Mr. Whale Shark Plush Tissue Box Super soft new character from San-X, the company who made Rilakkuma! The plush is filled with a marshmallow type cotton that makes it extremely soft to the touch. This fits most tissue box sizes! San-X "Jinbei-San" Mr. Whale Shark Mug, available in two different designs!